n the long run, monetary policy mainly affects inflation. A low and stable rate of inflation promotes price transparency and, thereby, sounder economic decisions. The Fed’s relative independence from Congress and the Administration has been justified by many economists on the grounds that it reduces political pressure to make monetary policy decisions that are inconsistent with a long-term focus on stable inflation. But independence reduces accountability to Congress and the Administration, and recent legislation and criticism of the Fed by the President has raised the question about the proper balance between the two. 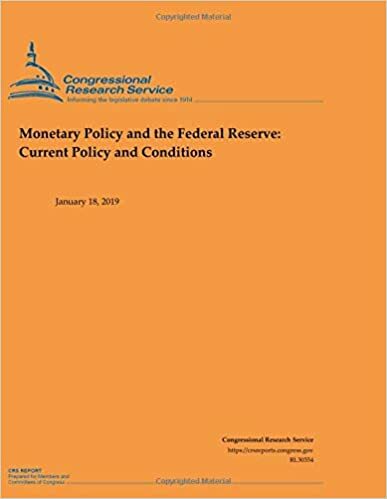 While the federal funds target was at the zero lower bound, the Fed attempted to provide additional stimulus through unsterilized purchases of Treasury and mortgage-backed securities (MBS), a practice popularly referred to as quantitative easing (QE). Between 2009 and 2014, the Fed undertook three rounds of QE. The third round was completed in October 2014, at which point the Fed’s balance sheet was $4.5 trillion—five times its -size. After QE ended, the Fed maintained the balance sheet at the same level until September 2017, when it began to very gradually reduce it to a more normal size—a process that is expected to take several years. The Fed has raised interest rates in the presence of a large balance sheet through the use of two new tools—by paying banks interest on reserves held at the Fed and by engaging in reverse repurchase agreements (reverse repos) through a new overnight facility.